So Deathstroke is in this now, he of Teen Titans infamy. 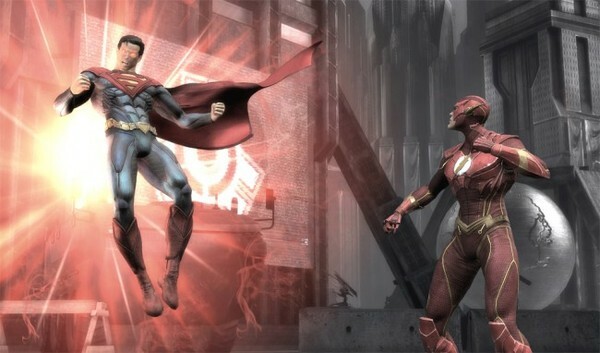 Posted on November 29, 2012 by Eugene Huo and filed under News and tagged DC comic fighting injustice. As long as you're prepared to deal with the decidedly smaller community, the Wii U Edition of Tekken Tag Tournament 2 is the best version of the game. My biggest question that I haven't been able to find out yet, is whether there are any fight sticks coming out for the Wii U, and whether my old Tatsunoko vs. Capcom fightstick will work or not. Posted on November 26, 2012 by Eugene Huo and filed under News and tagged Gamepad WiiU fighting fightstick games port tekken version.